Joe Shuster, Hal Foster – Canadian or not? 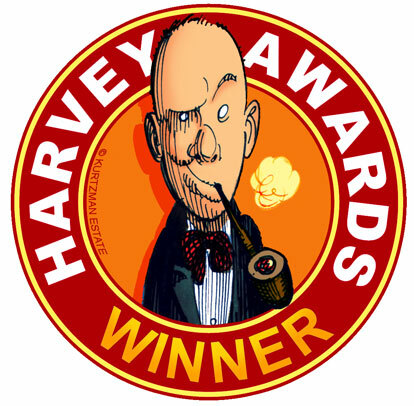 Named in honor of the late Harvey Kurtzman, the Harvey Awards recognize outstanding work in comics and sequential art. The winners were presented September 6, 2014 in Baltimore, MD, in conjunction with the Baltimore Comic-Con. This was the ninth year for the Harvey Awards in Baltimore, MD. Best Original Graphic Publication for Younger Readers: Adventure Time, KaBOOM! Special Award for Humor in Comics: Ryan North, Adventure Time, KaBOOM! Fiona Staples, Chip Zdarsky and Ryan North are all nominated for 2014 Joe Shuster Awards, which will be presented in Toronto on Saturday, September 20th. This entry was posted in General Announcements by Kevin A. Boyd. Bookmark the permalink. Director of the Joe Shuster Awards. Comic Relations Director for Fan Expo HQ. Collector, Fan, Historian and Clinical Data Coordinator. Please visit our ABOUT US page for more information on the Joe Shuster Awards.